By this definition of impeachable behavior, not only should Ronald Reagan have been impeached—for offering a job to the weak incumbent S.I. 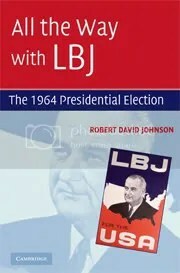 Hayakawa to discourage him from running from a second term—but LBJ also should have faced impeachment proceedings. The clip below features Jenkins communicating to Kilgore that the President opposed a Kilgore challenge to Yarborough, and mentioning that an administration appointment could be in the offing once Kilgore’s House term expired. Kilgore worried about appearances–but neither he nor Jenkins viewed their discussion as hinting at illegalities. Walter Jenkins: I think I told you all along that what we really hoped is that you could go back and run for your [House] seat. We still hope so; I still think you could. I think those people would get out in a minute. Congressman Joe Kilgore: I think so. But I don’t want to do that. Jenkins: And if not, why, we’d like to figure out [break in recording] you didn’t think you could be interested in. Kilgore: I don’t think I could afford to be under the circumstances. Jenkins: —[than] it is now. I don’t believe it would be quite so fresh on peoples’ minds. And I think the fear you have would be—the situation would be quite changed by then. Don’t you? Kilgore: Yes, but I think that there’d be an awful lot of people who would remember. I just don’t believe I could do it [accept an appointment]. I think then I couldn’t ever convince some people that there wasn’t some sort of a quid pro quo. Jenkins: Well, there wouldn’t be. But . . . I’m sure that you trust us and we trust you, and there wouldn’t have to be. Kilgore: Let me—could you tell me again what his [LBJ’s] response was? Jenkins: [sighs] I think that he feels, and everybody we’ve talked to feels, that it would not be to your interests, or our interests, or the Democratic Party’s interests, for you to do it [run against Yarborough]. It would serve only to benefit the Republicans, and tear up our party between now and November. Jenkins: All right, sir. I want to wish you well. And if there’s any way in the world that I personally can make it any easier for you, or any better for you, you know I want to do it. You know how we feel about you, and have always felt about you. But we just think this would do nothing in the world. It would serve the Republican Party, and not the Democratic Party. And not just one state, but 50 states. And that it would not be to your advantage, our advantage, or the party’s advantage. Then, just hours before the deadline, the labor leaders double-crossed the President, and Don Yarborough filed papers to challenge Connally. Johnson, furious, phoned Jim Wright to urge him to run for the Senate—making clear, repeatedly, that Wright would be taken care of with any position he wanted should he lose the primary. Under Issa’s new (and transparently absurd) conception of Watergate, this apparently counted for an impeachable offense. For anyone who knows anything about political history, this type of practice was unsurprising, and, indeed, an intrinsic part of politics. President Johnson: [There’s] a lot of things I can do for you. I can take care of you here if you lost. You wouldn’t be gambling anything. But . . .
President Johnson: Oh, less than that—two or three. Wright: Yeah. Yeah. That’s right—two or three. Anything would have to be postmarked from here by midnight this time. President Johnson: See, you and [Congressman] Joe [Kilgore]: now he’d [Governor John Connally] rather Joe run, ‘cause Joe’s got some money. President Johnson: And I’d rather you run ‘cause you’ve got some votes. That’s the way I feel about it. I’d rather nobody run if Don Yarborough wouldn’t run [for governor]—from the national picture. I think it’s bad to get all the labor split up, and fighting, and so forth. But I think you have got a chance to beat [Senator Ralph] Yarborough; I don’t think Joe has. That’s my judgment; now, I may be wrong. President Johnson: I think if you get on that ticket with John, and let him keep his arm in a sling [recovering from being shot in the Kennedy assassination] and keep your tongue in your mouth, I think you could go places. And I always have thought so. I just think you just quit shaking hands and dodgin’ and dartin’ around everyplace in the country, and stay on that television every time somebody gives you a dollar. President Johnson: Now, how much are you willing to gamble? It all? You want to come back to the House, or do you want to shoot the works if you can, with John, and if you lose [in the Senate primary], get something else? President Johnson: I’d damn sight rather have a six-year term in the Senate than where you are. If you lost—if you lost, I’d take care of you with something else, whatever you wanted.